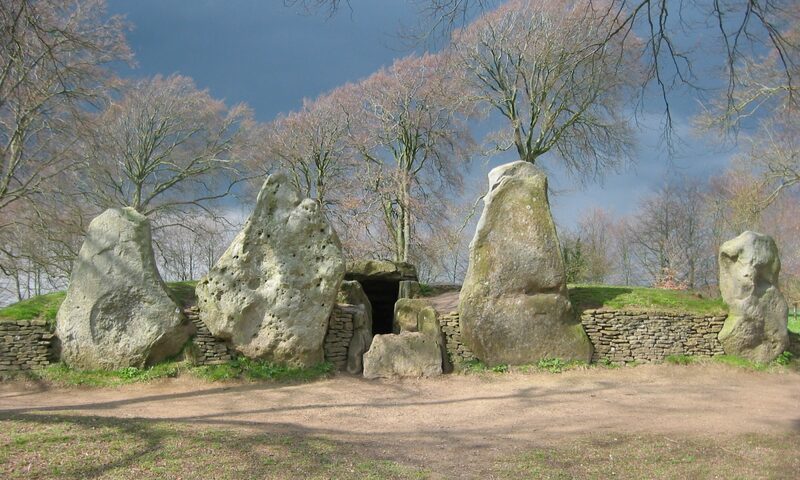 Last autumn I was driving from the NEC (Bike Show) to my sister’s house in Gloucester and decided to call in at the Rollright Stones which I had been lectured on but never visited. When I parked on the roadside I developed a small headache which cleared as I was walking to the entrance hut. I did the normal “can I, should I, may I?” with a positive result, then proceeded to do a bit of pendulum dowsing, entering the circle and moving inside anticlockwise. I had some good reactions to energy lines emanating from the stones and proceeded about 2/3 of the way round when it quickly felt very unpleasant, so I stopped dowsing and moved out of the circle, checking again “can I, should I, may I?” with a negative result this time. I wandered about and chilled out for a while and then checked again with a luke warm positive, so this time I just dowsed round one of the larger stones at the left of the entrance gap. I talked to some of the “guardians” at the entrance hut and then left. As I was driving to my sister’s my previous headache returned with a vengeance (dusk also fell quickly, it was an overcast day and I had not been aware of the time of day) to the extent that when I arrived I took some Neurofen and retired to bed for a couple of hours (I don’t suffer from migraines) and felt very unwell. After about 2.5 hours I got up and took some more Neurofen as I realised the headache was just lurking under the surface. Whilst I was at my sister’s she found a book on earth magic that mentioned folk having a bad reaction at the Stones, and the members of the Wyvern Dowsers that I subsequently talked to said that in general they had had uncomfortable feelings at the Stones with the one exception of when they were Guardians for a weekend. They are scheduled to do this later in the year and I will see if I can make it to the weekend.